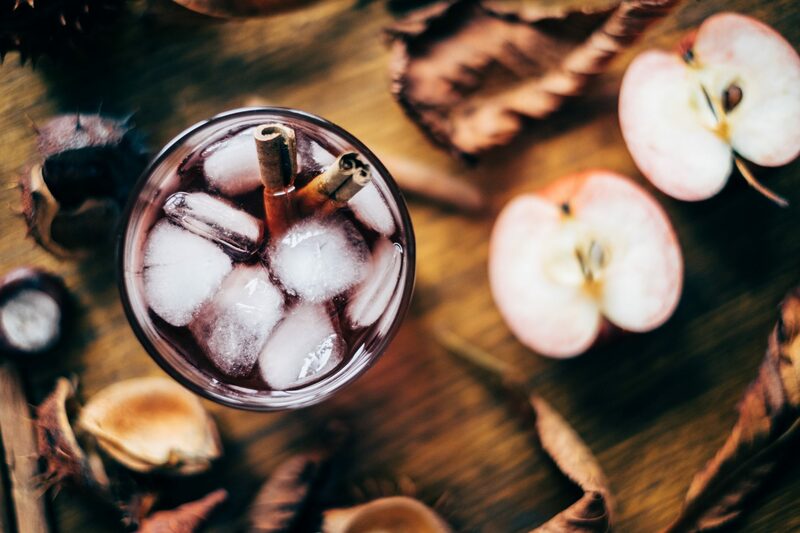 Way back before there were pumpkin spice lattes, apple cider was the sentimental fall beverage of choice—fresh-pressed from the season’s harvest, ready to warm up with a dash of cinnamon (or whiskey), or guzzle cold, hazy and unfiltered. And while cider is still a hallmark of the season, nowadays there are so many more ways to drink the humble apple. From dry, subtly-flavored hard ciders to spirits made using only the fruit, here are five apple beverages to drink throughout the season. If the thought of brandy conjures associations with your grandmother's bridge club, it’s time to revisit the digestif. Pennsylvania craft distillery Boardroom Spirits has been making vegetable-based liquors from carrots and beets, and they're transforming fruit into eau de vie-style brandy, too. The 80-proof ‘A’ is made entirely from local Red Delicious apples, and contains no added sugar, extracts, artificial flavors, or colors. The result is a warm, clean, spiced-apple flavor with a slightly peppery finish. 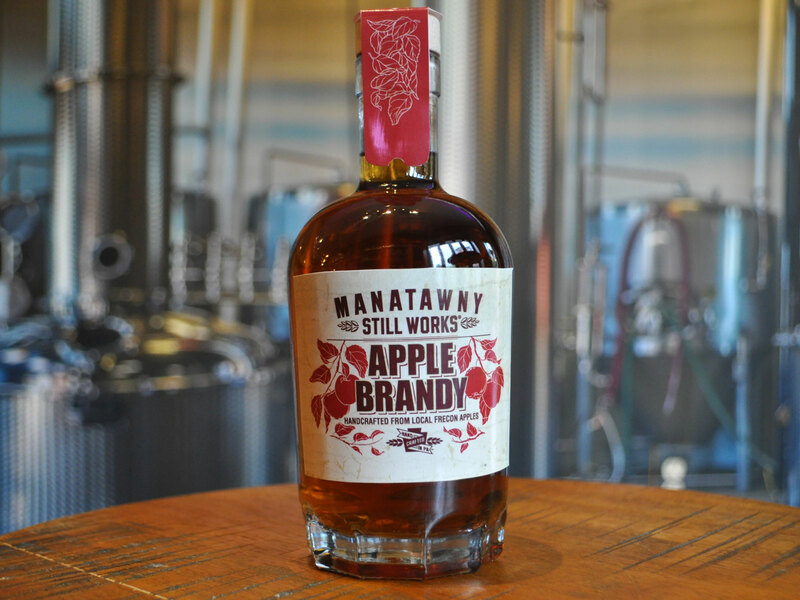 Nearby, Manatawny Still Works is home to the state’s most decorated whiskey this year, but also makes a range of spirits, including Apple Brandy, made using a mix of seven different apple varieties from an orchard only six miles away. Manatawny’s master distiller Max Pfeffer ages the brandy in American oak barrels for a smooth, slightly dry digestif with notes of brown sugar and spices. Sip them chilled, neat, or use them to mix up a batch of seasonal cocktails. Hard cider has gotten a much-needed makeover in recent years, with craft cider-makers trading in super-sweet for drier, more nuanced flavor profiles. To wit, Virtue Cider in Fennville, Michigan is known for its farmhouse ciders—hand-pressed, barrel-aged, and made with local fruit. Founded by celebrated former brewmaster Gregory Hall, the lineup includes flagship Michigan Apple, made with local heirloom apples, and Lapinette, a Norman-style brut cider fermented with French yeast and aged in French oak barrels, among many others. 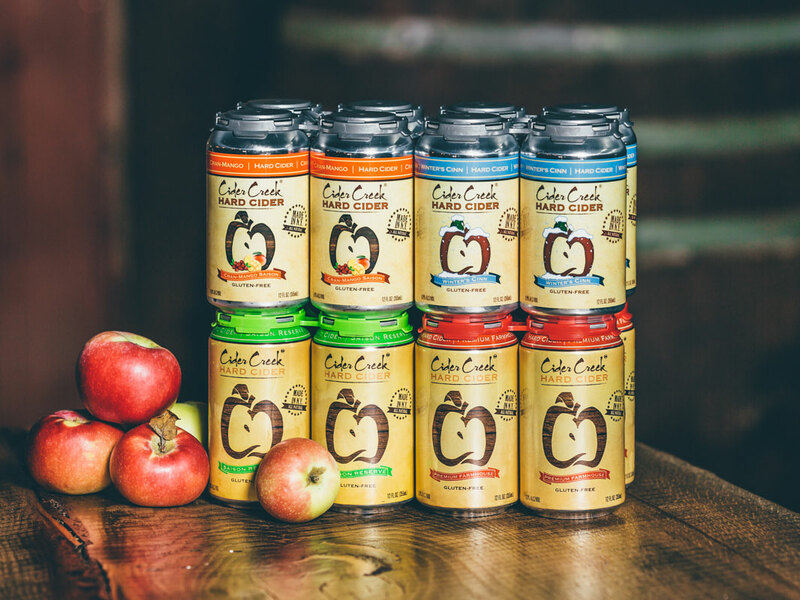 Based in another top apple-producing state, Cider Creek in the Finger Lakes region of New York, makes four blends year-round, including the Premium Farmhouse—an unfiltered, French-style cider fermented with champagne yeast for a crisp, dry finish. Throughout the rest of the year, the husband-and-wife team adds seasonal varieties to the lineup, like the Dreams of Charlotte—an award-winning, pleasantly tart strawberry, guava, and honey cider, fermented with brett lambic. Drink these as you would wine or beer—its complexity and effervescence stand up to robust fall dishes like pork or roasted chicken. 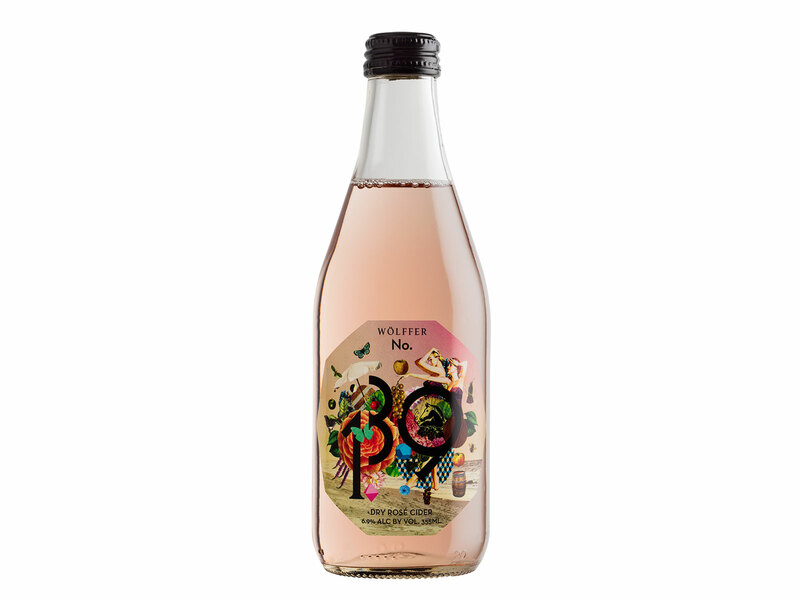 Known primarily for their rosé wines (like the wildly popular Summer in a Bottle), Hamptons-based vineyard Wölffer Estate is also crafting a delightful cider version. Wölffer No. 139 Dry Rosé Cider is made using a carefully-selected blend of six different New York-state-grown dessert apples. After pressing the fruit and removing sediment, winemaker Roman Roth kicks off the fermentation process by adding Epernay 2, a yeast that’s usually used in sparkling wines. Seven days later, voila, hard cider emerges—light-bodied and not-too-sweet. The vineyard also makes a white variety with Asian pear added to the apple blend, and a newly-released red cider—vibrant in both color and flavor, with notes of blackberry and black currant. Serve these at your most upscale tailgating parties or at Thanksgiving dinner. Nitro Chai Cider, with ginger and vanilla. Our new draft option just dropped 🍎. Available at all shops so get it while it lasts! If you’re craving a pumpkin spice latte not for its taste as much as for the fall vibes it delivers, try the seasonal Nitro Chai Cider from Philadelphia-based coffee shop Rival Bros., instead. The brand’s signature Masala Chai tea—Assam black tea blended with cloves, cinnamon, cardamom, and other spices—is steeped with vanilla and ginger root, and the resulting concentrate is combined with locally-made Kauffman's apple cider. The nitrogen infusion gives the drink a smooth taste and foamy head, and it’s finished with a dusting of cinnamon, nutmeg, and allspice. Hard cider’s slightly boozier cousin, apple wine clocks in around 10-12% avb or higher (compared to the former’s 4-7%). 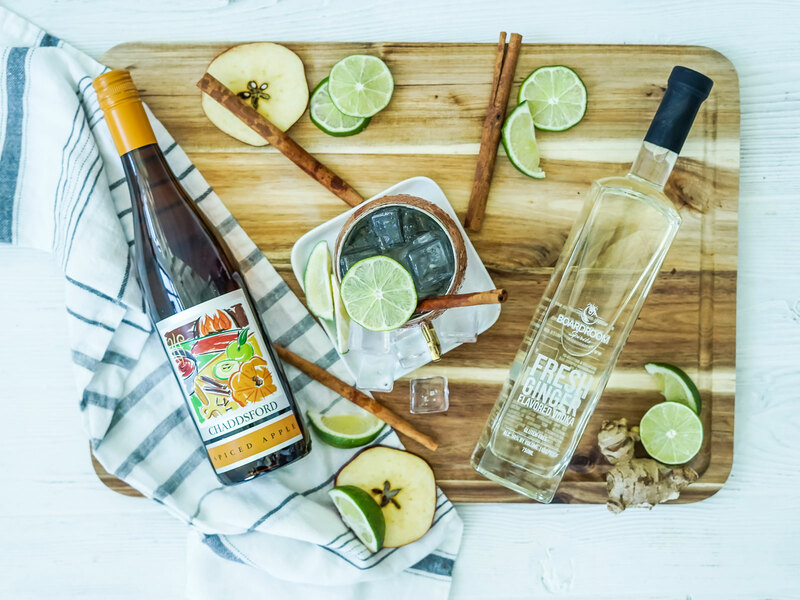 In Pennsylvania's historic Brandywine Valley, Chaddsford Winery makes its Spiced Apple wine with a proprietary blend of sweet and tart from a local farm (Pennsylvania ranks in the country’s top five states for apple production, too), where they press the fruit the night before it’s delivered. Drink it warm, garnished with a cinnamon stick while wrapped in a tartan wool blanket for maximum enjoyment.